Illustration by Charlie Powell, charliepowell.net. Seattle Afro-punk singer Om Johari organizes another good idea. Talking subatomic cosmic blues with the Brooklyn singer-songwriter. The Stranger's music critic recommends the five best shops to buy records in the city. The Los Angeles electro-pop duo reflects on the anniversary of the Ghost Ship fire. A review of Stephen Karam's hit at Seattle Rep.
Are these pieces at Winston Wachter sculptures or paintings? 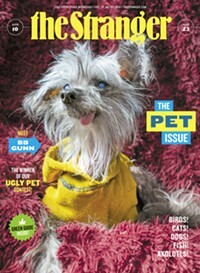 Is existence just totally meaningless? The shocking things in her book that she didn't talk about in her campaign. It's a mess to make but a delight to drink. My record collection and I got priced out of my apartment. 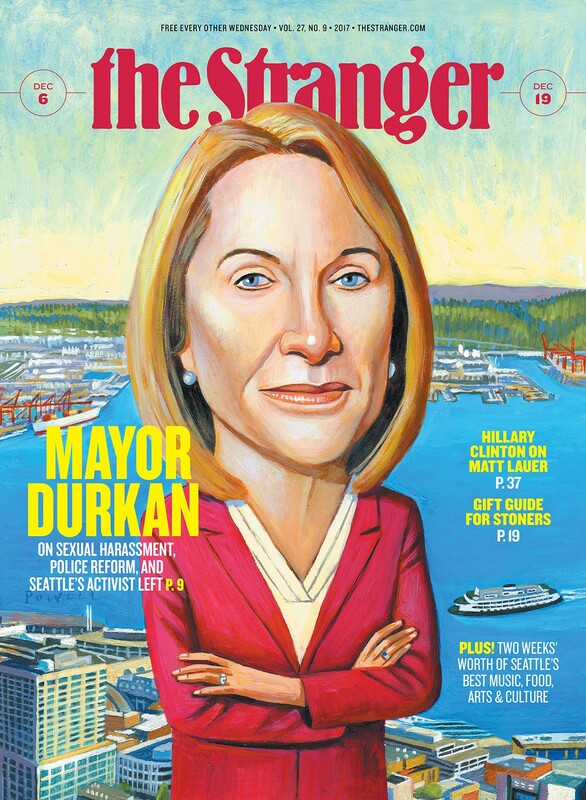 The Stranger's Q&A with Jenny Durkan on her first full day of work. Al Smith's eye-opening, boundary-hopping photos at the Museum of History & Industry are a must-see. Four different Seattle venues are producing versions of it this December. What you don't see is the artist's father's horrible death on the other side of that hill.